New issue of English-language al-Qaeda magazine posted on the terror group's website earlier this week linked to the Boston terrorist attacks has possibly been hacked by Western intelligence agencies and its content beyond its cover page was scrambled. The magazine, produced by al Qaeda's Yemeni affiliate, al Qaeda in the Arabian Peninsula, which regularly includes how-to instructions for followers to carry out terrorist attacks in the West, has received significant scrutiny in recent weeks. Investigators believe that Boston bomber Tamerlan Tsarnaev accessed Inspire magazine, and the material had instructions on bomb-making, a law enforcement official said. According to analysts, the explosive devices the Boston bombers built had striking similarities to a bomb recipe in the first issue of the magazine, "How to build a bomb in your Mom's kitchen", that has been downloaded by militants in multiple Islamist terrorist plots. 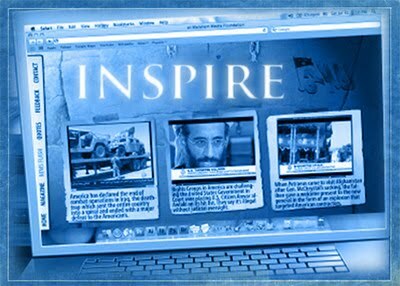 Previous issues of Inspire magazine have seen intervals of weeks to months between production and final publication. According to the report, Josh Lefkowitz, a senior partner at Flashpoint, analysis the metadata on the new purported Inspire magazine shows it was last modified on April 8, a week before the Boston bombings. The cover page included a content caption "Open Source Jihad," which in past issues has been a section featuring do-it-yourself terrorism advice. Flashpoint said they detected the new posting on the administrator account of the top-tier, password-protected forum Al Fidaa, a website regularly used to disseminate propaganda from al Qaeda and its affiliates, on Tuesday evening. All the links led to the same corrupted PDF file, and within minutes, the posting had been deleted from the web forum completely. What seems not to be in doubt, he said, is that someone hacked the al Qaeda web forum.